Valkyrie The University of Edinburgh's Valkyrie robot, constructed by NASA, is a research project worthy of note. 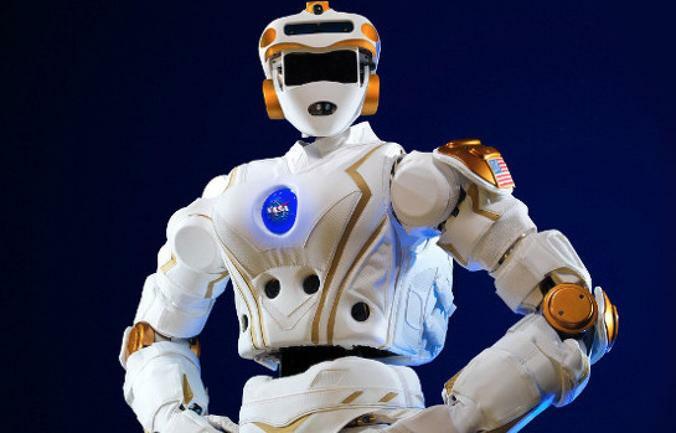 While not in space itself, the robot -- coming in at 125 kg and standing 1.8m tall -- is the focus of research in improving humanoid-style robotics for space exploration. NASA has announced three winners in a crowdsourced contest to design an arm for a space robot named Astrobee. The contest, which is being run through job site Freelancer.com, is one of several crowdsourcing campaigns the space agency is running to bring in novel engineering ideas from around the world. Astrobee is a NASA-designed ruggedized cube that will float around the International Space Station and perform routine tasks, such as system inspections, basic housekeeping, and serving as on-call camera-bot. Like terrestrial robots, Astrobee will rely on specialized equipment to interact with the environment around it. NASA has been drawing up plans for a lightweight articulated arm that folds into a compartment inside the robot’s body, but it has also been running a crowdsourcing contest to solicit outside designs for various mechanisms and components that will make up the arm. The three announced winners are Nino Wunderlin, from South Africa; Myrdal Manzano, from the Philippines; and Amit Biswas, from India. They submitted designs in three different challenges relating to the arm’s attachment and deployment mechanisms. There’s already a floating robot named SPHERES on the ISS. Astrobee is a replacement, and its scheduled to fly in 2019. Once operational, it will be able to take direction from the crew or from NASA’s Mission Control Center. It will also be able to perform tasks autonomously. It’s a worthy undertaking, but some may balk at the cash prizes, which range from $250 to $5000. That’s peanuts for top notch engineering ideas.